Leading up to the ceremony, the Academy has fueled further debate over their decision to cut the presentation of certain awards. Earlier this month, the Academy of Motion Picture Arts and Sciences announced its decision to present the awards for four major categories during the Oscars’ commercial breaks: makeup/hairstyling, live action short, cinematography and editing. In an email to Academy members, Academy president John Bailey emphasized his hope to still give equal attention to all awards categories. The plan, as Bailey explained, was to livestream the awards presented during commercial breaks on online platforms and showcase the winners’ speeches later in the night as a part of the regular Oscars broadcast. Not surprisingly, this decision was subject to immediate backlash from the public and prominent members of the Academy, many of whom were especially shocked to see editing and cinematography so blatantly sidelined. “If I may: I would not presume to suggest what categories to cut during the Oscars show but — Cinematography and Editing are at the very heart of our craft,” Guillermo Del Toro, last year’s Best Director winner, stated on Twitter. Others echoed this sentiment: why demote the two elements that arguably make a film a film more than any others? The Academy implemented this decision as a means of ensuring a three-hour run time for the Oscars and attracting higher ratings, but this may have been an unnecessary precaution. Indeed, over the past 15 years, Oscar viewership has had its peaks and dips but has remained surprisingly consistent around the 30-million-viewer mark. But could the Academy have actually fulfilled its goal of higher ratings through this misstep? With so much bad blood circling over categories cut from the broadcast, the Oscars are in the news more than ever and could potentially draw its highest ratings in years thanks to the drama that has followed the Academy’s various alterations. 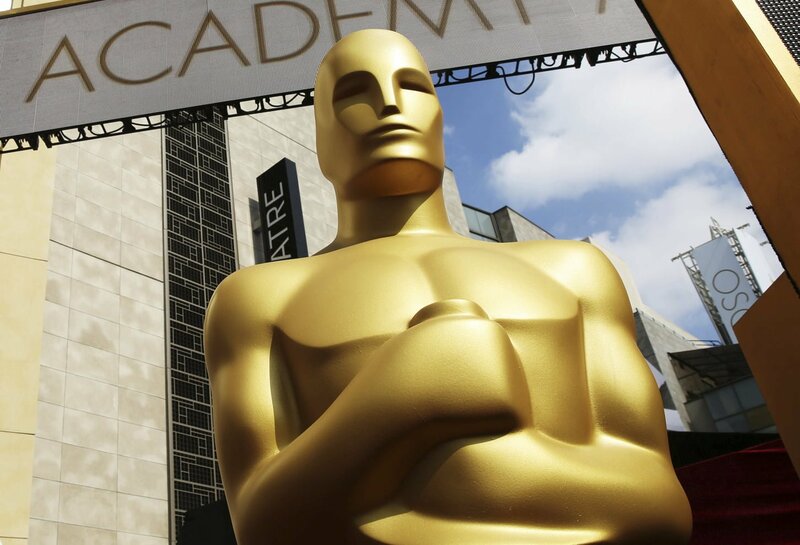 The controversy of this decision ultimately prompted the Academy to change its mind last week and reintroduce these four respective categories into the regular Oscars lineup. Notably, John Bailey met with a number of top cinematographers, including Hoyte van Hoytema and Emmanuel Lubezki, before deciding upon the reversal. An online petition that garnered over 14,000 signatures in a matter of days, as well as a letter from a slew of today’s top directors including Christopher Nolan and Martin Scorsese, undoubtedly put additional pressure on the Academy to alter its decision. “The Academy itself is largely made up of past winners, many of whom I assume are cinematographers and editors, so it really is a puzzling decision to have come to in the first place,” said Joseph Lyons, associate director at Cinespace Studios. Unfortunately, the lack of appreciation for those working in these more technical aspects of film is not a new development but rather a “given” accepted by many in the industry and even in the Academy. Simply put, a director is nothing without the talents of the cinematographers and editors they work with. In bathing in the celebrity and auteur culture of actors, writers and directors— the creative bigwigs—we forget the contributions of those denied the star treatment. “Citizen Kane,” revered for its technological innovation and unconventional aesthetics, would have never boosted director Orson Welles to godlike status without the pioneering lighting and camera techniques of cinematographer Gregg Toland. And how much of “The Godfather’s” reputation would remain without the continuous action and hard cuts employed by editors Peter Zinner and William H. Reynolds? Cinematographers and editors are the unsung heroes of our most beloved works of cinema. This lack of visibility extends even further for women working in these areas. In 2016, a mere 5% of cinematographers for the top 250 highest grossing films were women, and it was not until Rachel Morrison’s 2018 nomination for “Mudbound” that a woman had ever been nominated for Best Cinematography at the Oscars. In the early 20th century, women were the primary editors of film, splicing and taping film reel only to slowly become displaced by men who eyed editing as a financially promising new field. Since then, it too has remained a male-dominated sphere. But for female cinematographers and editors, greater acceptance in the industry will not come overnight. “It is a slow process, because to become top-level in these areas takes time and experience, and the fruits of this may not be apparent for years,” Kupper explains. In professions already being sidelined, it certainly doesn’t help to be a woman. As aggravating as this indecisiveness and incessant need for mass approval from the Academy has become, perhaps some good could come from this thus-far chaotic road to the Oscars’ Feb. 24 broadcast. In being relegated to “commercial break” awards and then reaffirmed as broadcast-worthy, a new light has been shed on all four of these Oscars categories, cinematography and editing especially. Film production relies on a vast network of talents and backgrounds, and to pretend otherwise does a massive disservice to thousands of hard-working people in the film industry.